Last night I paid a Shiva visit. Shiva is Hebrew for seven. When a member of the community loses a loved one they sit for seven days, as mandated by the Jewish tradition. They do not leave their home, they sit on low chairs or on the floor, they do not attend the synagogue, they mourn. During these seven days, the Shiva, friends and family visit them. We comfort the mourners, we listen to family stories. Time stands still. Perhaps yesterday we had not had time to listen to an old lady's story, but today we do. Time stands still. Everything else can wait. Everything pales in the shadow of death, the end of life for one and the painful continuation for another. We make time for that which we were too busy for yesterday. Suddenly nothing else is more urgent than sitting and listening, looking at each other, sharing the pain and the joy; the pain of having lost a dear one and the joy of having known them. But as much as we comfort the mourner, we learn. We gain from their experience and from the perspective of death and the finite nature of all living things. One of our cemeteries is called, "A meeting place for all life". Eventually we shall all meet there. So yesterday I visited a woman whose sister just passed away in Sydney, Australia. The departed sister was younger than her sister in Israel. She died of cancer. Three weeks ago no one even knew. I learned about her life, her family, that she had two surviving children, that one was married with children, and the other...still single. I learned that she was a school teacher. I learned of her hobbies. I learned that it was the type of cancer that was easy to cure, however, she did not know she had it. By the time they found out.."It was too late to save her". Had they caught it in time, I was told, they could have easily saved her. The phrase I kept hearing was, "It was too late to save her". How did these Jews end up in Australia? I was told that the leader of this branch of the family saw the writing on the wall and in 1930 decided to leave Krakow, Poland and emigrate to far off Australia, far away from all the trouble. The rest of the family? Well, they wanted to join the branch in Australia but by the time they made the decision....yes, "it was too late to save them". I thought about that. With the cancer of the body, and the cancer of the European soul, the same phrase was used...."It was too late to save them". I thought about it. In both cases, I was told, had they acted soon enough they could have saved the patient, or the family, had they acted soon enough. But they did not act soon enough. They did not see it coming, and...they perished. In one case a not so old woman, and in another case entire families, nee nearly an entire nation. 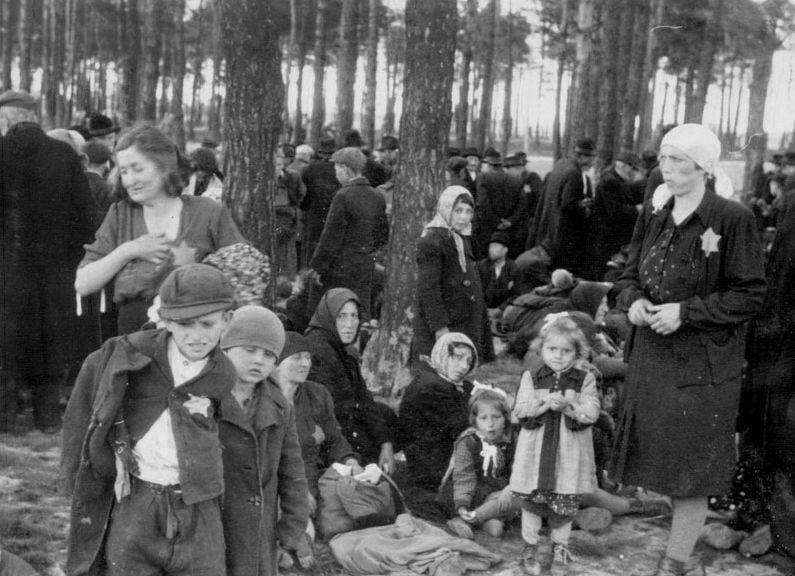 The Jews of Hungary could also have been saved, but they did not act soon enough. And when they finally did...yes, "It was too late to save them". Hungarian Jews, ..."It was too late to save them". I sat there with the bereaved mourners and I thought about my own life, and my work. My message, to all of you, is Act now before it is too late. Do not wait until a loved one is hurt, until a daughter is God-forbid, raped, until an elderly parent is beaten and robbed. Please do not wait until then. Please do not put yourself in the situation where some time from now, you will be the mourner saying...We could have saved her, we could have given her Krav Maga lessons but by the time we thought of it..."It was too late to save her". Tour and Train is approaching, who is coming? Who will be participating? Some older people who were victims of violent crimes and have vowed not to be caught unprepared again. A young woman just out of high school whose father is paying for her to learn how to defend herself the Israeli way. A retired US Navy pilot who wants to protect himself as he gets older. A single mother who wants to protect her young child and herself. 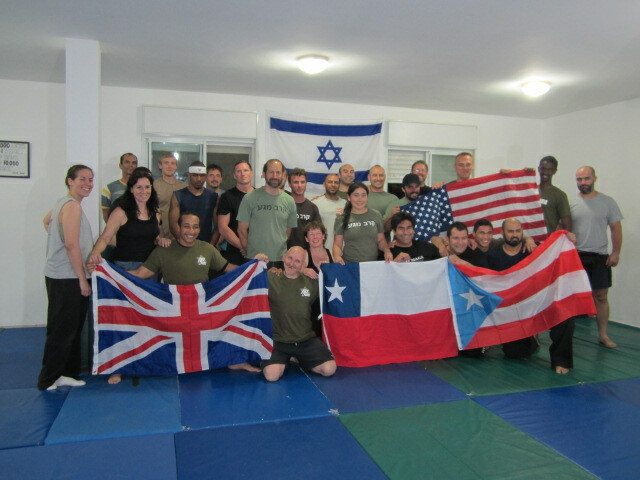 Krav Maga instructors from around the world looking to upgrade their already impressive skills. Will you wait until it is "too late"?